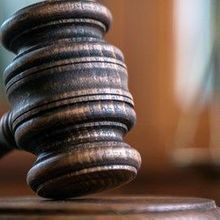 The highly publicized legal fight over the intellectual property rights for CRISPR gene-editing technology comes to a head, as both sides present oral arguments. FLICKR, ALAN KOTOKThe line started to form outside the US Patent and Trademark Office (USPTO) before 8:30 this morning. By 9:30, there were far more people gathered than would be allowed in. 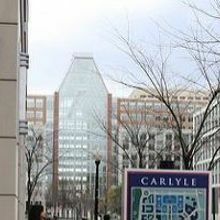 The crowd had gathered in Alexandria, Virginia to watch oral arguments in ongoing patent dispute of CRISPR-Cas9 gene-editing technology. CRISPR stands to change the way scientists edit DNA, and thus could be worth billions of dollars. Two key parties stake claims to that market: the Broad Institute of MIT and Harvard, and the University of California, Berkeley. In May 2012, Jennifer Doudna of UC Berkeley and colleagues (including Emmanuelle Charpentier, formerly of the University of Vienna) filed a provisional patent application, describing her team’s ability to use the gene-editing pathway in vitro. “[Doudna’s team] does mention eukaryotic cells but is light on the details on how to scale that technology,” Jake Sherkow of New York Law School said at a briefing following the oral arguments. In December 2012, Feng Zhang of the Broad Institute filed a provisional patent for the use of CRISPR specifically in eukaryotic cells. The Doudna patent application was finalized in March 2013; the Zhang patent application was finalized six months later, in October. But because Zhang requested that the USPTO fast-track his application, the Broad’s patent was granted first, in April 2014. In April 2015, UC Berkeley appealed to the USPTO for what’s called a “patent interference,” arguing that Dounda’s patent application, which was filed first, overlaps with Zhang’s patent, which should therefore be redacted—at least partially. Doudna and UC Berkeley argue that using CRISPR in eukaryotic cells was an obvious extension of her and Charpentier’s in vitro work, and their patent application thus covers eukaryotic use of the CRISPR technology. 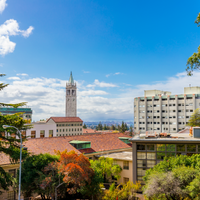 In January 2016, the Patent Trial and Appeal Board granted UC Berkeley’s interference, and the investigation has been underway all year, with nearly 900 documents filed from both sides. Today was the first and only time the respective sides were able to present their case orally—and each had only 20 minutes to do so. Indeed, all three judges appeared to question the argument that the leap from prokaryotes and in vitro work to a eukaryotic system was obvious, asking about how the presence of the nucleus or even different structure of eukaryotic chromatin might play a role. “I thought the questions, the skepticism about ‘It’s no big deal to go from prokaryotes to eukaryotes,’ I thought I sensed a fair amount of skepticism on the part of the judges,” Arizona State University’s Bob Cook-Deegan, who has expertise in the patenting of academic discoveries, said during the panel discussion after the hearing. There are many other facets of this case, however, and some were discussed at this morning’s hearing. For example, as Trybus pointed out to the judges, Zhang’s team did not use all the same molecules identified by Doudna and Charpentier’s group. One of the main differences was the particular Cas9 nuclease. Doudna and Charpentier had used a Cas9 from Streptococcus pyogenes, while Zhang used one from Staphylococcus aureus, which is smaller and thus easier to package into an adeno-associated virus to shuttle the enzyme to target cells. Thus, even if the court sides with UC Berkeley in the interference case, Zhang’s unique choice of Cas9 could legally distinguish some of his work from that of Doudna and Charpentier. “Zhang should be able to walk away with some intellectual property,” Sherkow said during the panel discussion]. Meanwhile, Walters spent much of his allotted 20 minutes discussing the aspect of single molecule invention, imploring the judges to consider the fact that Doudna and Charpentier had linked two RNA molecules of the CRISPR machinery into a single molecule. Walters said that, in contrast to the use of CRISPR in eukaryotic cells, this modification was not obvious, and there was no reasonable expectation that the linked RNA molecule would still bind Cas9 and then target and cut DNA as intended. One judge seemed to take issue with this apparent contradiction, however, pressing Walters on why that would not be obvious if moving the entire pathway to another cellular system was. 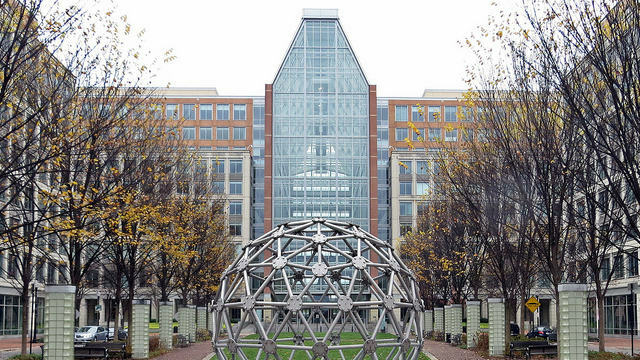 Sherkow, Cook-Deegan, and other experts who attended the USPTO hearing agreed that the judges asked many more questions of Walters than of Trybus, but no one could confidently say which way they thought the court was leaning. “I have no idea what the judges are going to do with this,” Cook-Deegan said. Sherkow estimates that the court might reach its decision by February. 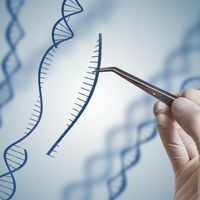 Until then, the fate of CRISPR’s intellectual property rights hangs in the balance, along with the lucrative market it has already started to generate. The three companies that have spun out from UC Berkeley and from the Broad are already hard at work on applications of the technology, noted Cook-Deegan. “They’re making bets on who’s going to win this interference,” he said.